My wife Jun and I got engaged on April 3rd, 2016. We are both from China and met at the Chinese church here in Geneva 2 years ago. Once we were engaged, we wanted to start our married life together as soon as possible (why wait if you want to spend the rest of your life together, right?). So after praying and discussion we decided to have our wedding in Geneva (since it’s where we first met and my residency location) on July 23 2016, just a bit over three months away. To make things a bit more complicated, Jun was still studying at Barcelona and would not be able to come to Geneva very often to see about all the details of organising a wedding. So how were we going to organise ourselves for our Big Day? We started researching some ideas on the Internet, and I sent out a request on semarier.ch to look for some professional help in the region. Shortly after, Mauro contacted me and we fixed a RDV. I quite appreciated my first meeting with Mauro. He didn’t start by trying to sell me some fancy wedding ideas or go straight to ask my budget and just propose some templates accordingly. He started by asking me some personal questions like where I met my fiancee, what is our religion, what atmosphere we’d like to have for our wedding, etc. He also gave some good tips about things to consider for a wedding, such as an insurance, dinner courses. I had met another wedding planner just before our meeting and I had a much better feeling with Mauro. 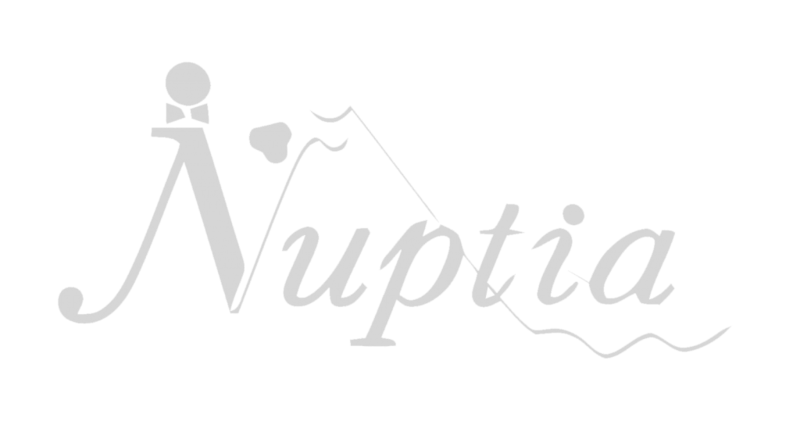 Jun and I talked about this meeting and prayed that night and we felt that Nuptia was the right choice for us, which proved to be the case all the way up to “Jour J”. First, Mauro was able to locate some very quality venues within a few days after signing our contract. The final venue we picked, Domaine de Penthes, was a great location and fit perfectly for our plan of an outdoor wedding. It was such a great gift for us because some other couple moved their date. Once the venue is booked, Mauro and Anna provided a very good shortlist of suppliers and recommendations for various items: wedding dresses, wedding rings, gifts for guests, florist for decoration, etc. Jun and I both appreciated the service of the recommended florist and they did a wonderful job to decorate our wedding and to come up with solutions to meet our demand, even at short notice. Anna also provided a valuable service of keeping record of a monthly to-do-list and send it to us. It helped greatly to keep track of things to do for the preparation and to have the peace of mind that all the elements needed for the Wedding Day are being checked and verified so that nothing gets forgotten. On the wedding day, Mauro and Anna also did a great job in coordinating different contractors to have everything set up in time and to make sure the schedule of the day is being followed in coordination with some brothers and sisters from our church. All in all, Jun and I felt very blessed to have Mauro and Anna helping with the organisation of our wedding and truly appreciated their professional services and advices all the way up to the Big Day.